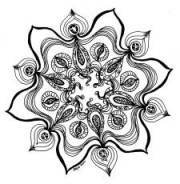 It's hard not to get drawn to rustic clipart; even in small amounts like a series of twigs for a divider, or mandalas made into meditation circles, they're fascinating and fun. Coming soon; more rural scenes and rustic clipart; the artist is busy drawing great hillbilly outhouses for the new book; you will be able to purchase the book and use the images for your projects and crafts. Hillbilly outhouses as wallpaper? Why not? 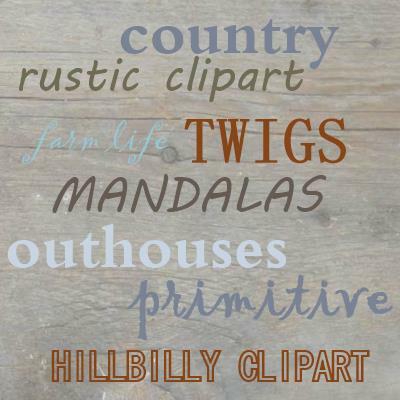 You can use twigs this way too - twig clipart adds a country charm and appeal to blogs or websites, or even as book illustrations. I promise to use it only to send you Rurality.